What type of property is this Residential Rental Inspection Report being used for? What is a Residential Rental Inspection Report? A Residential Rental Inspection Report is used by a landlord or property manager to document the condition of a rental property before a tenant moves in and after a tenant moves out. The purpose is to list any damage to the property before and after the tenancy so that the landlord or property manager knows what repairs the most recent tenant is responsible for. Who Should Use a Residential Rental Inspection Report? A home inspection checklist should be used by property owners and managers at the beginning and end of each new tenancy. Tenants may also choose to request one from their landlord if one is not provided. or, any other type of residential rental property. What Information do I need for a Residential Rental Inspection Report? Landlord details, such as the contact information. A move-in or move-out date. The number of bedrooms, bathrooms, etc. If there is a yard or basement being rented. If there is a balcony or garage. How do I Complete a Rental Inspection? Scratches or marks on walls or floors. Chipped paint, damaged windowsills, doors, or frames. During a move-in inspection, list these changes to record what damages existed prior to the tenant renting the property. During a move-out inspection, compare the current damages to any found during the move-inspection to see if they are the fault of the tenant. It is important to note that regular wear and tear of the property is not considered at-fault damage. 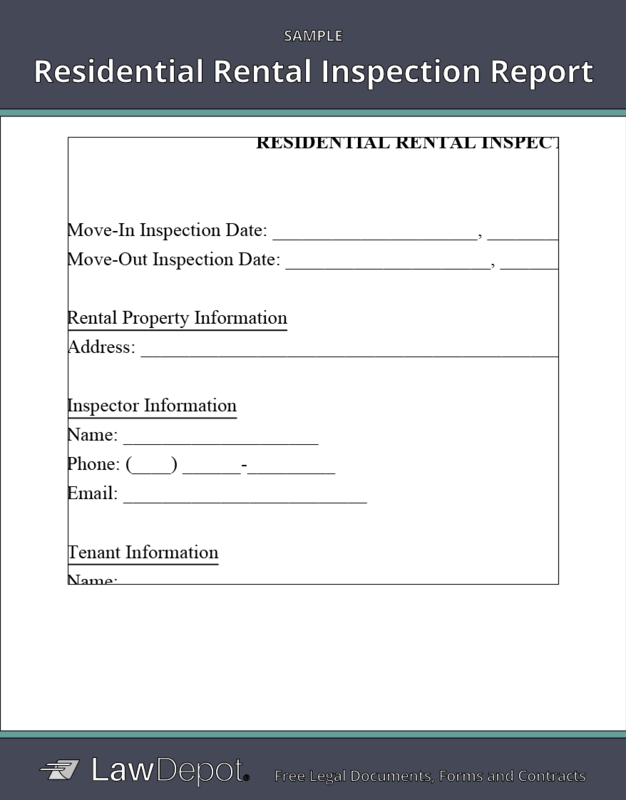 Personalize your Rental Inspection Report template.